1. Understand that a puppy is an infant dog – not a miniature adult. Adjust your expectations accordingly, considering his physical and mental limitations. Before you know it, he will be grown up! 2. Puppy-proof your house with baby gates, a crate, and/or a pen. Any time the puppy is not directly supervised, he should be in a safe place where he can’t get into trouble. Provide appropriate safe toys for him to chew. Nobody would think of giving a human toddler total freedom in a home, and puppies need the same careful supervision. Eliminating opportunities for accidents and destructive behavior will get you through the puppy phase with most of your stuff intact! This helps make sure that bad habits never get a chance to take hold. 3. Dogs are not born understanding English. The new puppy you brought home two days ago has no idea what the word “no” means. Instead of expecting him to drop whatever it is he’s doing, show him what you want him to do instead. 5. Train with high-value treats. You will be amazed at how much harder your dog will work for a tiny piece of chicken breast, cheese, or liver, compared to even premium store-bought treats. Those may work in distraction-free settings, but when the job gets more difficult, you need to bring out the good stuff. Training treats should be soft, so you don’t have to wait for Rover to chew before continuing the lesson. 6. Catch your dog being good. It’s easy to get caught up in scolding when your puppy is getting into trouble, but rewarding him out of the blue for being good lets him know he’s doing the right thing. 7. He’s a dog, not a human. It’s their “doggyness,” not what we think of as their similarity to humans, that makes them so lovable. Dogs don’t think like humans. They do not plot acts of revenge; they are just trying to do what makes them feel happy or safe. 8. Dogs do the things that we reinforce. Those behaviors you don’t like? We usually have ourselves to thank. Owners inadvertently reinforce all kinds of undesirable things, from excessive barking at the doorbell to counter surfing. Keep leaving food within reach on the counter, and your dog will learn that it’s worth his while to check. 9. Learn to be quick with treats and praise. 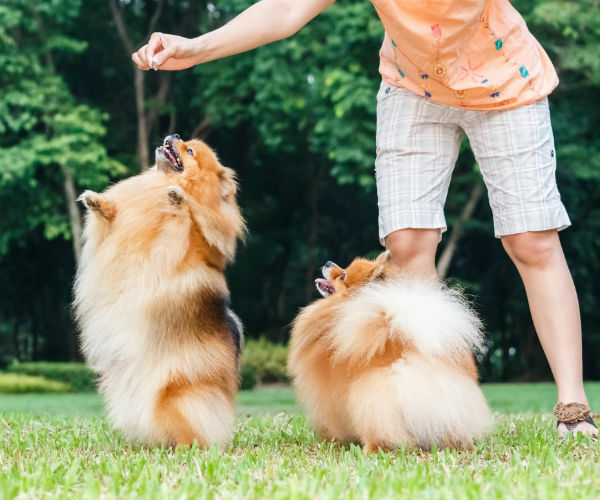 If the treat comes more than a few seconds after your pup has done what you’ve asked, he has no idea what he did to earn it, or you may inadvertently reward the wrong behavior. He’s happy to take it, but you failed to reward what you were teaching. 10. Always be happy when your dog comes to you, whether you called him or not. A common owner complaint is that the dog does not come when called. Never punish your dog when he comes to you, no matter what he did before. Call him in a happy, playful tone and reward big when he gets to you, with treats, a toy, or praise. 11. Keep a positive attitude. If you are getting upset, your dog knows it! 12. Provide the right amount of exercise and mental stimulation. Bored dogs get into trouble. For young puppies, mental stimulation is just as tiring as physical exercise and is safer for their growing bodies. Concern for the animal. A friend of mine in Chicago told me that she chose her vet because he always greeted her dog first when she went to his office. Simple though that is, it meant a lot to her that he did that. But don’t be taken in simply by a good bedside manner if your instincts tell you that something is not right. Will your vet’s advice always center on the well-being of the animal? Willingness to listen, to answer questions, and to communicate easily. As someone who is new to taking care of a pet, you want to feel able to ask your vet anything and have her give you just the right amount of information to help you do your job. Kindness and patience. If you are a new mom or dad to an animal, you are going to need to know the basics. Your vet should be able to walk you through these without making you feel like an idiot. Professional skills. 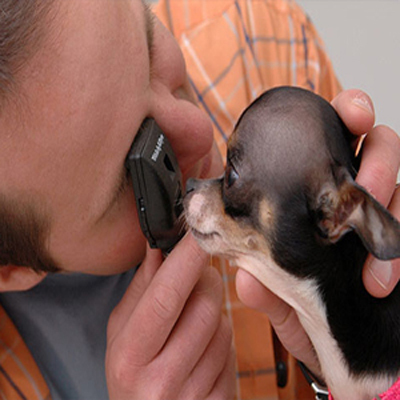 Does your vet keep up with the latest developments in the veterinary field that will help your animal? Accessibility. Will she be available, especially in a crisis? Generous nature. Are you just a money machine for your vet’s office? You want to feel as if they are taking into account your costs, especially if you are in rescue work and are bringing in a lot of animals. Love of animals. Surprisingly, many people choose to become vets not because they love animals, but simply as a way of making a living. Does your vet have animals at home? Is he warm and comfortable around your animals when you bring them to the clinic? Referral from a friend. This can be a good way to find a good vet, but remember, just because the referral came from a friend does not mean that friend has done his research. Again, if something does not feel right, find a vet on your own. This is by no means an exhaustive list, but hopefully it will help you to pinpoint the right person for you and for your animal. Our animals give us so much that the least we can do for them is to find the best doctor around. For some additional tips, read the article “Finding a Veterinarian” on the website for the American Veterinary Medical Association. It’s time to hit the beach! Make sure you don’t forget your towels, sunglasses, sunscreen, and your best pal—your pup! 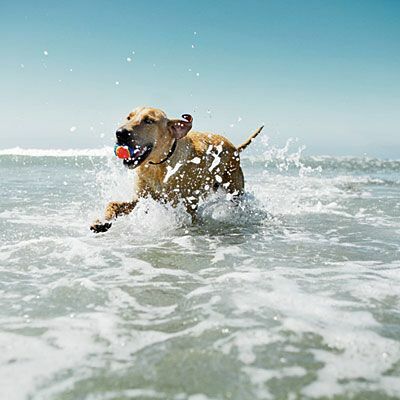 But before you bring along that four-legged friend, here are some known dog-friendly beaches in the sunny land of San Diego. This nationally famous dog beach was one of the first in the area to allow you to have your dogs around off the leash. Be sure to clean up after your pup, and double check that all their vaccinations are up to date if you want to stop by this beach. Your dog also has to be given a collar from the County Department of Animal Services, so if you want to come here, make sure you give yourself enough time to get everything done! In the city of Del Mar, dogs are always welcome. This beach allows dogs to run under voice control nine months out of the year, with the other 3 months requiring a leash. The entire beach is great, but the most popular place for canines is the North beach area. There’s also a playground if you decide to bring the kids along too! A good majority of this beach is reserved as leash-free for dogs. Fiesta Island is more of a dog park than a dog-friendly beach—sand dunes for climbing, wildlife for chasing, and water for splashing around in. 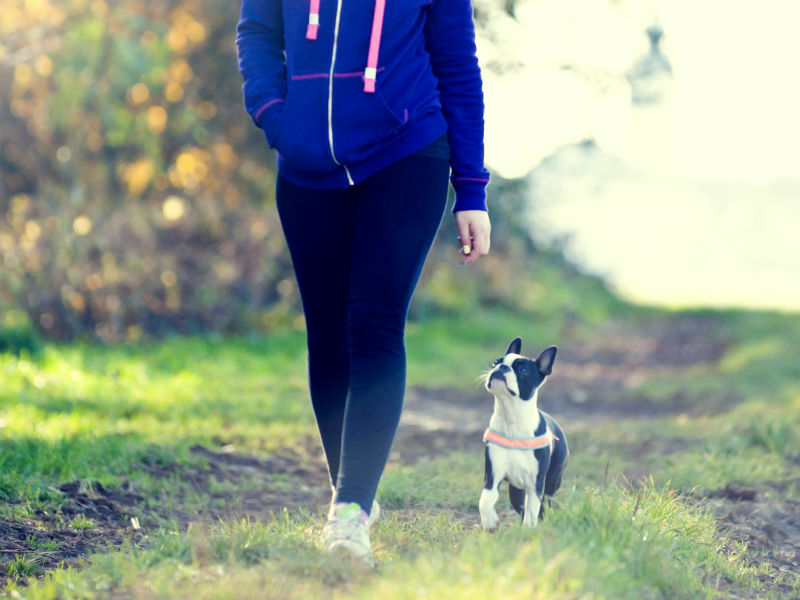 Although it is nice to play with your dog off the leash, you should bring one just in case: other dogs might not be as friendly. Coronado is one of the most scenic beaches in San Diego. Be sure to have your dog leashed up until you reach the sand, or else you’re going to face a hefty $500 fine! One you hit the water; your dog can roam free, as long as they are well trained. Coronado is a great beach for a nice relaxing day out with your dog. Pronounced ‘la HOYa’, this beach is perfect for bonding with your pup. Bring a Frisbee to throw, or a ball toy that they can play with so you can have fun in the sun! The beach is open for dogs year round after 6pm, and after 4pm in the winter. Pacific beach is the place to be for the younger crowd. Dogs are not allowed on the beach, but they are allowed to be walked along the board walk. If you want to make a trip here, bring the pup for a nice walk, and check out some of the nice dog-friendly restaurants near by. This beach allows you to have your dog if you bring a leash. There isn’t a lot of sand in this area, but it’s perfect for taking a walk, or going for a swim and playing in the water with your canine friend. You can even plan a nice picnic at the park area near by, where you can play catch and other fun games with your dog! North Beach Dog Run – In Coronado, this dog friendly beach is off-leash 24/7 and is great for dogs who love strong surf. Dog Beach – On Ocean Beach, this popular spot is off-leash all the time! Fiesta Island – Located in Mission Bay, this beach has still waters and sandy dunes for dogs more interested in a calm stroll than catching big waves. 2. Work out together. 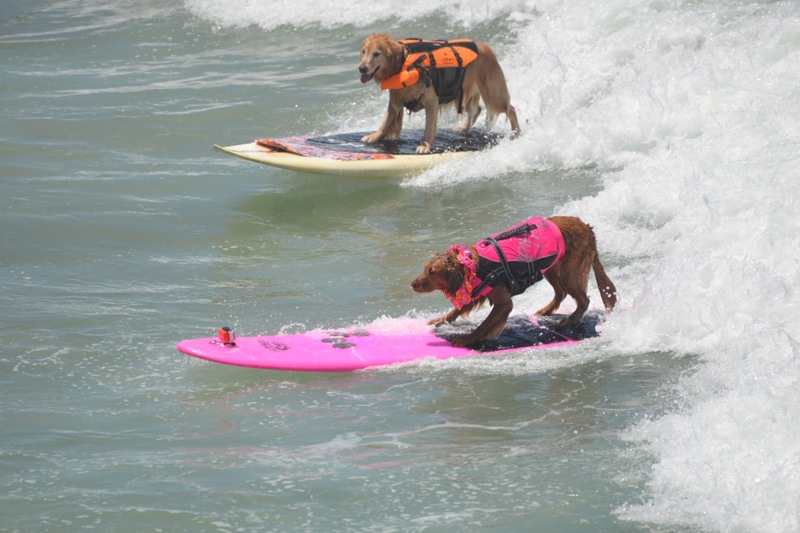 Beyond beach running, there are tons of exercise options to do with your dog in San Diego. Check out Leash Your Fitness to find out about runs, kayaking, and exercises classes like yoga and doga! 3. Pups in parks. The City of San Diego has an official page for you to find both on and off-leash parks and their map off off-leash areas, including beaches, is very handy. Famous Balboa Park, the nation’s largest urban cultural park, is one of our favorite places to go for a stroll. 4. Eating out. Oh yes, our dogs love dining out just as much – OK, maybe more – than we do! We never miss Sally and Henry’s Dog House, but with oodles of pet friendly restaurants in San Diego, there’s no way you’ll go hungry in this town! 5. Shopping. You’re not limited to window shopping in San Diego – in fact, many stores encourage pups to come in for a belly rub. 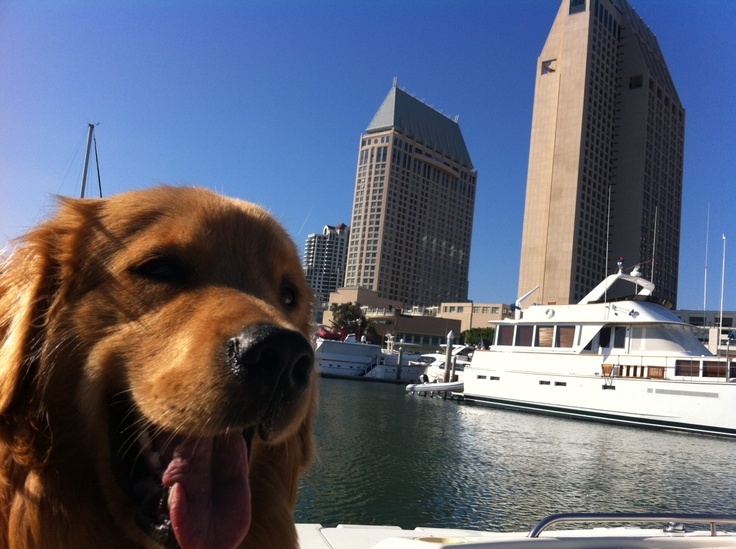 Seaport Village is a notable and fun spot to take your dog, though actually getting into the stores may be ruff with all the people wanting to say hello to your pooch! If art is more your thing, browse the beautiful works in the Spanish Village Arts Center. 6. Rent a boat. Ahoy, Fido! Perhaps your dog likes being on the water better than being in it. By all means, rent a power or sail boat and let your best mate play skipper for the day. Head over to Downtown Boat Rentals at 385 W. Harbor Drive. 7. Pet boutiques. Is your dog a diva, always on the hunt for a new outfit, perfect shampoo, or food to keep him fit and trim? He’ll find his inner growl at the amazing pet boutiques in San Diego. Stop by Howlistic, with it’s spa-like dog wash, or check out Dexter’s Deli, just up the road in Del Mar (and in Carlsbad), billed as the ‘original health food store for your pet.’ While you’re sniffing around, keep an eye out for our favorite pet food, The Honest Kitchen – San Diego’s their home, too! 8. Historic walks. San Diego is packed with history, but missing the infamous Gaslamp Quarter, would be criminal. It’s crowded at night, so take a stroll earlier in the day when you can admire the historic Victorian buildings that are now home to a dazzling collection of restaurants, bars, and clubs. 10. Pet friendly accommodations. 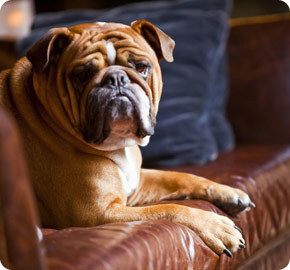 You can’t have a pet friendly city without lots of pet friendly hotel choices. San Diego has them all, from budget to ultra luxury, like the US Grant, Hilton Bayfront, Hotel Solamar, Loews Coronado Bay, and The Grand Del Mar. Copyright 2018. AAA K-9 Mobile Grooming/Platinum Online Professionals. All rights reserved.